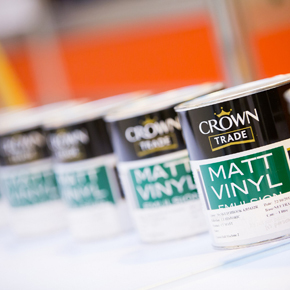 Crown Trade has revealed the apprentices that will compete in this year’s annual Crown Trade Apprentice Decorator of the Year competition. Following a series of qualifying stages held across the UK, eight students will compete for the national title and a £1,000 grand prize. Now entering its 37th year, the competition will take place across three days at The Skills Show, which will be held at the NEC Birmingham between 17th – 19th November. The Apprentice Decorator of the Year is the only competition associated with a national body, the Construction Industry Training Board (CITB). Three of the finalists, Stefan Hubble, Ryan Chamberlain and Amanda Conner, will be making their second appearance in the competition, having narrowly missed out in last year’s final which was eventually won by Ben Deer of Dorset. Joining the three in this year’s final will be Jessica Heath, Philip Orme, Patrick Dinham, Ayla Foulis and Lewys Rawlings. 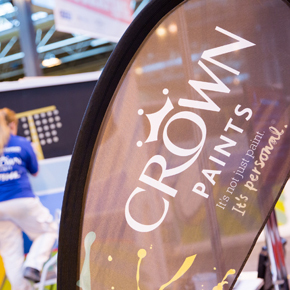 Kevin O’Donnell, Product Trainer at Crown Paints and Crown Trade Apprentice Decorator of the Year Competition Manager, said: “This year’s project created a true test of skills, time management and ability to work under pressure. It required a great deal of skill and the expertise of those who have made the final really shone through. The Skills Show is an annual event which attracts almost 80,000 visitors each year. The show features more than 50 trade-based competitions in which the ‘best of the best’ in each sector battle for the national title. The show acts as a route to the ‘Wordskills’ competition which takes place every two years.